Linum usitatissimum. Cool-season, full-sun annual. Plant in springtime. 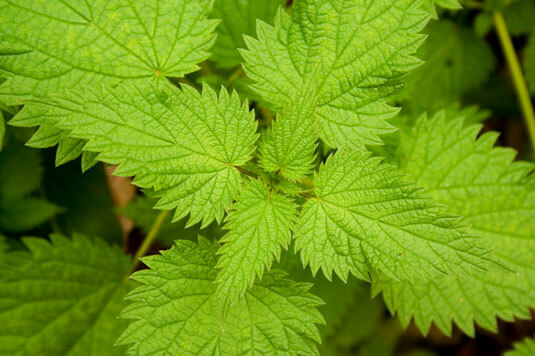 It has seeds that are very nutritious and high in Omega-3 fatty acids. Flax can be grown similar to a grain. Although flax is highly nutritious for chickens, avoid giving your hens excessive amounts of flax seed. If they eat too much, it creates a strong flavor in their eggs. Panicum miliaceum. Warm-season, full-sun annual. Plant in springtime. Millet is another plant that requires a lot of nitrogen. Chickens can eat their seeds, and other parts of the plant. There are many types of millet, including a culinary millet that you can use in cereals and pastries. Sesamum indicum. Warm-season, full-sun annual. 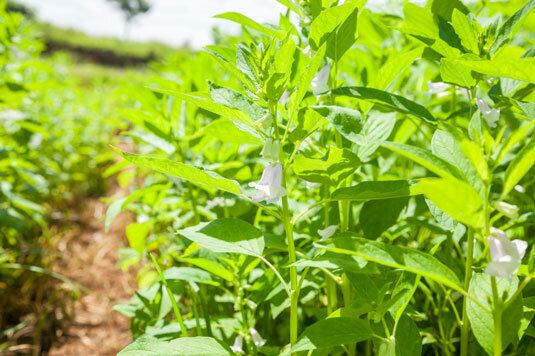 Sesame requires a long growing season and has nutritious seeds and striking foliage. 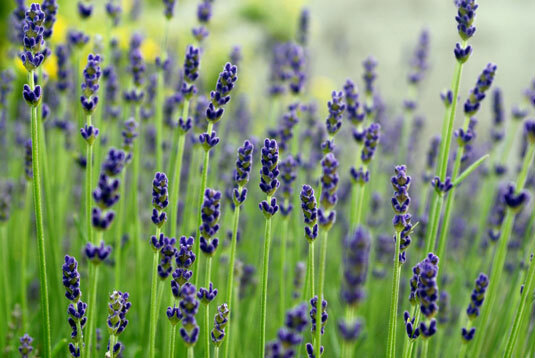 Thomas Jefferson was smitten with sesame and grew it until he was 81. Chickens enjoy these seeds. You can add these seeds to vegetables and rice dishes. Sorghum bicolor. Warm-season, full-sun annual. 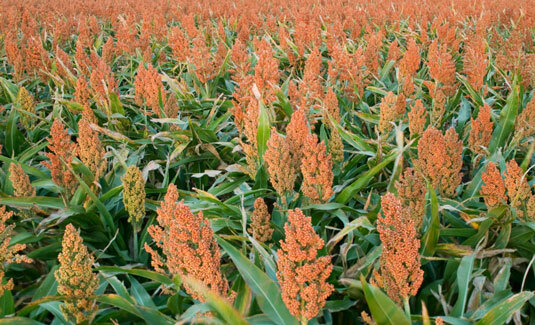 Sorghum produces a sweet cereal crop that’s known for its seed. Sorghum is a seed that chickens can easily eat. You can make sorghum into a syrup, or grind it and use it as a sweetener for gluten-free baking. Helianthus annuus. Warm-season, full-sun annual. 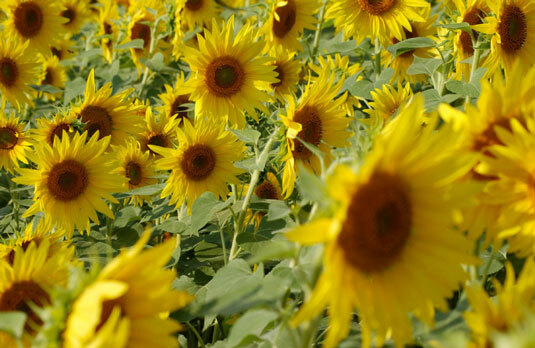 Sunflower heads can be dried and given to chickens directly. Sunflowers are bright and cheery wherever they’re planted. You can toast sunflowers and eat them as snacks and in salads.